In this scenario you&apos;ll dog into an increasingly popular Jenkins plugin named Pipeline. It uses Groovy scripts to define Jenkins workflows as code. The scenario is designed to demostrate how you can use Groovy Pipelines within a Continuous Intagration/Delivery (CI/CD) workflow to download software code from GitHub, perform unit tests and display a historical test result report. You will learn how to make use of a Docker host environment for running Jenkins in a Docker container. The steps guide you to installing the required plugins, creating and running a Software build process build and viewing the test report results. For a more verbose introduction into the Pipeline plugin, see this blog post. Note: steps 1 to 4 can be skipped, if you want to head directly to the pipeline section. We will provide a pre-configured Jenkins image in step 5. The first step is to install the Github and Pipeline plugins, since we will use a Pipeline to clone and build a Github repository. Within the Dashboard, select Manage Jenkins on the left. On the Configuration page, select Manage Plugins. Manage Plugins page will give you a tabbed interface. 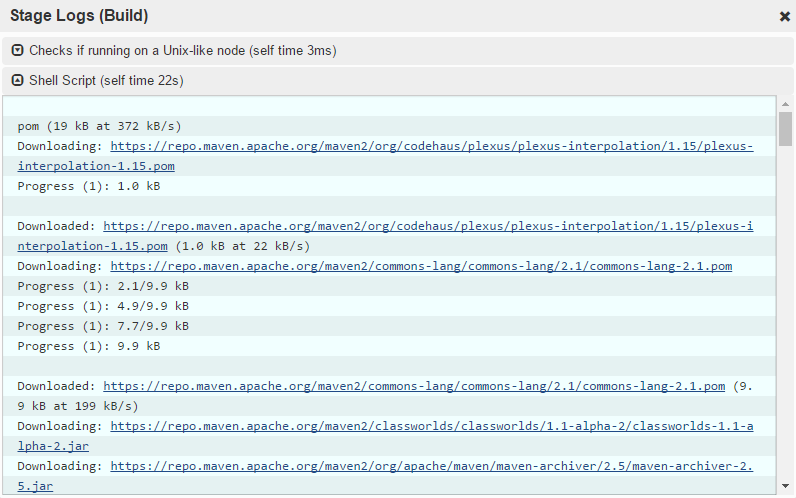 Click Available and wait three seconds to view all the Jenkins plugins that can be installed. Using the search box, search for Github plugin and choose the plugin via checkbox. While on this page, search for Pipeline and choose the plugin via checkbox. Click Install without Restart at the bottom. The plugins will now be downloaded and installed. Once complete, click the link Go back to the top page. 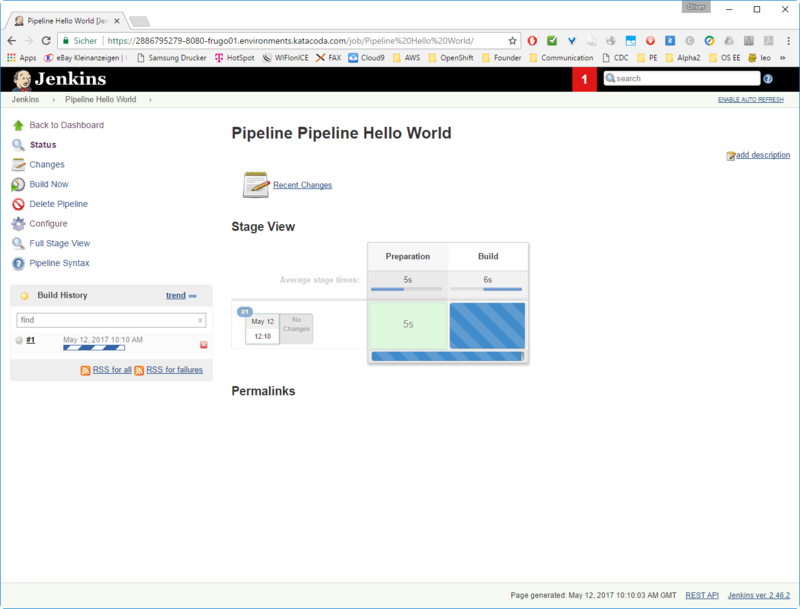 Your Jenkins server can now be configured to build a &apos;hello world&apos; application using pipelines. 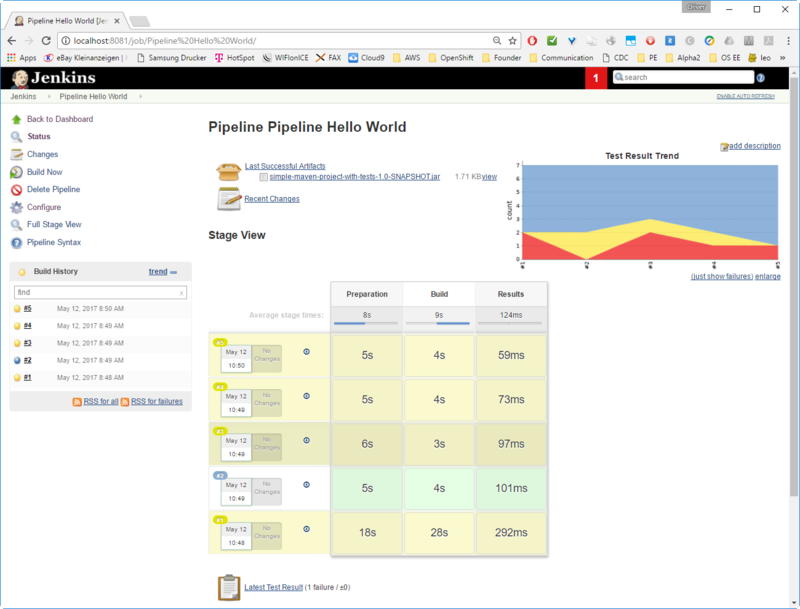 Jenkins Pipelines are now ready to use Maven. In the Manage Jenkins -> Global Tool Configuration page, find the section Git -> Git installations -> Git. Jenkins Pipelines are now ready to use Git. Note: the steps how the image has been created are described in the Appendix of this blog post.